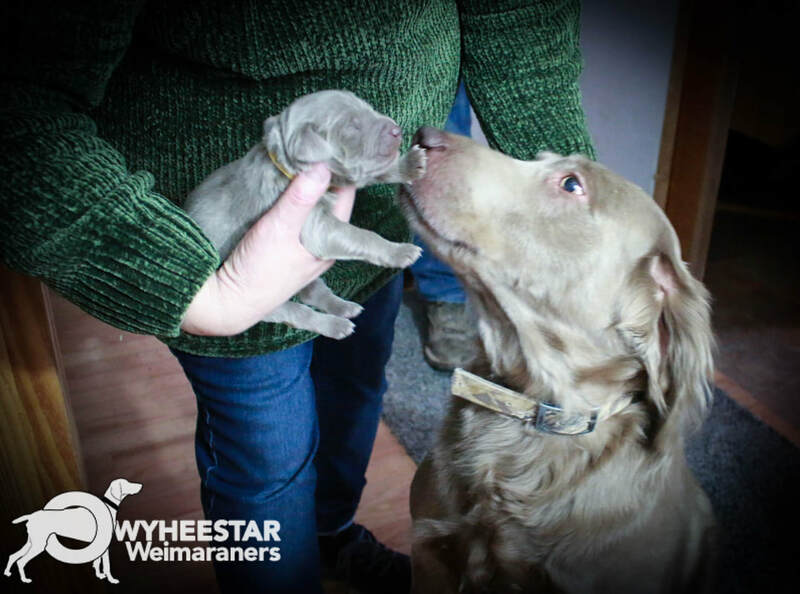 Stackhouse (litter sire) inspects the tiny pup. We hope you enjoy seeing these cute faces. At this age, they don't look any different from the traditional smooth coat--watch, and you will see them grow into their feathery-fluff. If you are imaging them being like a Labrador for hair--think again. While there is a bit more grooming, you are not going to be covered in hair. It is shocking, to say the least. This litter is Atti's first litter sired by Stackhouse--our first ever all Gray Longhair litter. It has been a long time coming.